- Overall size: 155 x 205 mm. 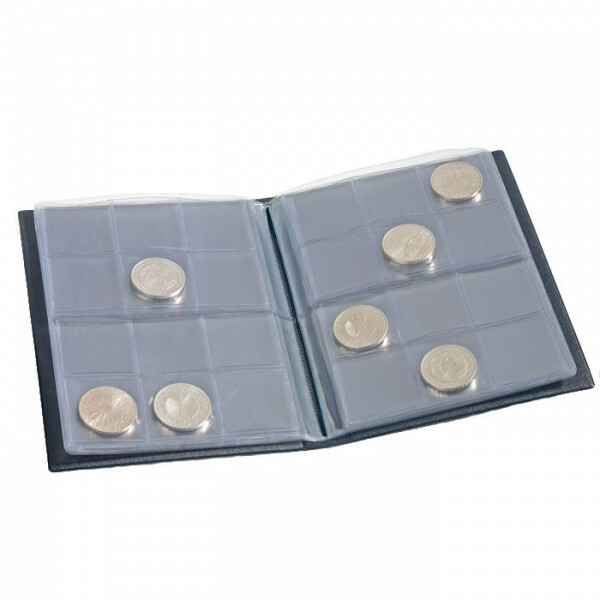 This Coin wallet with 8 coin sheets, each for 12 coins in size 40 x 40 mm features a dark blue padded cover with NUMIS lid imprint in silver. The pages in the Coin Wallet are made of safe, durable, rigid PVC, free of chemical softeners.